A beautifully illustrated exploration of the quest for order within the garden, and within the natural world Inspired by the pioneering naturalist Gilbert White, who viewed natural history as the common study of cultural and natural communities, Mark Laird unearths forgotten historical data to reveal the complex visual cultures of early modern gardening. Ranging from climate studies to the study of a butterfly's life cycle, this original and fascinating book examines the scientific quest for order in nature as an offshoot of ordering the garden and field. 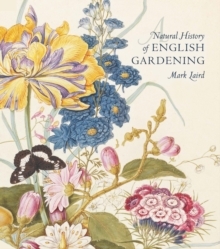 Laird follows a broad series of chronological events-from the Little Ice Age winter of 1683 to the drought summer of the volcanic 1783-to probe the nature of gardening and husbandry, the role of amateurs in scientific disciplines, and the contribution of women as gardener-naturalists. Illustrated by a stunning wealth of visual and literary materials-paintings, engravings, poetry, essays, and letters, as well as prosaic household accounts and nursery bills-Laird fundamentally transforms our understanding of the English landscape garden as a powerful cultural expression. Pages: 440 pages, 300 color + 100 b-w illus.